O He who desires no repayment! 2. O He who shows no remorse at bestowal! Thy decree a choice for the best! Thou withholdest not in transgression. while Thou hast inspired him to thank Thee. while though Thou hast taught him Thy praise. and disregarded him who intended wrongdoing against himself. and an act of kindliness through Thy tenderness, O Clement! which Thou hast named 'repentance'. Repent toward Allah with unswerving repentance! 'Our Lord, complete for us our light, and forgive us! and the setting up of the pointer? similar verses on the multiplying of good deeds. would yield entrance into Gehenna in utter abjection. and their triumph through Thy good pleasure. and praised by every tongue. and meanings which may be spent in praise! flooding them with kindness and graciousness! and Thy goodness singled out for us! and arrival at Thy generosity! to the exclusion of the people of the creeds. and we found through it the means to Thy reward. and near to him who strives for Thy nearness. with the most excellent profit of the world's creatures. and the fulfilment of its number. O greatest month of Allah! O festival of His friends! O most noble of accompanying times! O best of months in days and hours! and good works are scattered about! who made easy the paths of good-doing! How many became freedmen of Allah within thee! How happy those who observed the respect due to thee! How many the sins thou erased! How many the kinds of faults thou covered over! How drawn out wert thou for the sinners! How awesome wert thou in the hearts of the faithful! month with which no days compete! month which is peace in all affairs! thou whose friendly mixing is not blamed! and cleansed us of the defilement of offenses! nor is thy fasting left in weariness! object of sorrow before thy passing! How much evil was turned away from us through thee! How much good flowed upon us because of thee! How much we craved thee yesterday! How intensely we shall yearn for thee tomorrow! which have now been stripped away from us! we are the people of this month. while the wretched are ignorant of its time. and its prescribed practices to which Thou hast guided us. and we have performed little of much. and seeking of pardon sincerely uttered by our tongues. and win the varieties of its craved stores! reach the coming month of Ramadan! and Thy bounty which does not diminish! both the concealed and the public! and the fullest of them in share! and Thy bestowal is the bestowal full of delight! until the Day of Resurrection! an unswerving repentance rid of doubt and wavering. and fix us within it! and the sorrow of that from which we seek sanctuary in Thee! O Most Just of the just! and through which our supplication may be granted! 181. In other words, Thou art kind without the servants having done anything to deserve it. Cf. 12.3. 191. 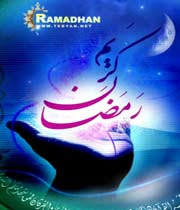 That is, the Ramadan of the year that has just passed and that of the coming year. 192. That is, we have been afflicted by the hardship of having to fast. This interpretation follows Sayyid ''Alikhan's reading; the Persian translators interpret the sentence to mean: 'our being afflicted by grief at the passing of our month', a reading which Sayyid ''Alikhan rejects. 193. i.e., that good pleasure and mercy. 194. Allusion to Qur'anic verses such as Truly God loves the repenters (2:222) and God is He who accepts repentance from His servants (9:104; cf. 42:25).